1. It can produce ultra-thin or fluffy pulp cotton core type sanitary napkin, which is fast-easy package. 2. Main material like Non-woven, PE film, packing film, air-laid paper auto splicing, tension control, auto guider and unqualified parts will remove automatically. 3. Cutter material use 45 # steel, extend life of the cutter. 4. Higher speed crusher machine can crush treated or untreated fluff pulp. Looking for ideal Sanitary Napkin Machine Manufacturer & supplier ? We have a wide selection at great prices to help you get creative. All the Women Napkin Machine are quality guaranteed. 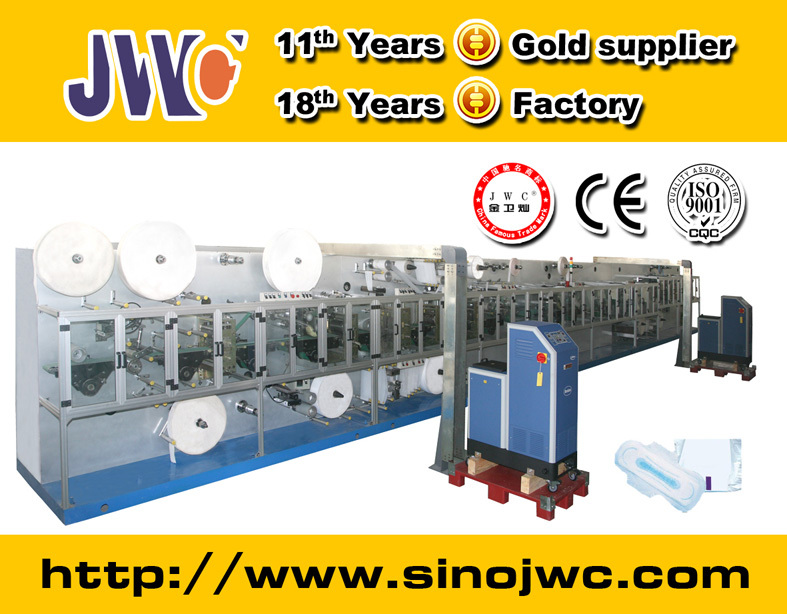 We are China Origin Factory of Female Sanitary Pad Machine. If you have any question, please feel free to contact us.